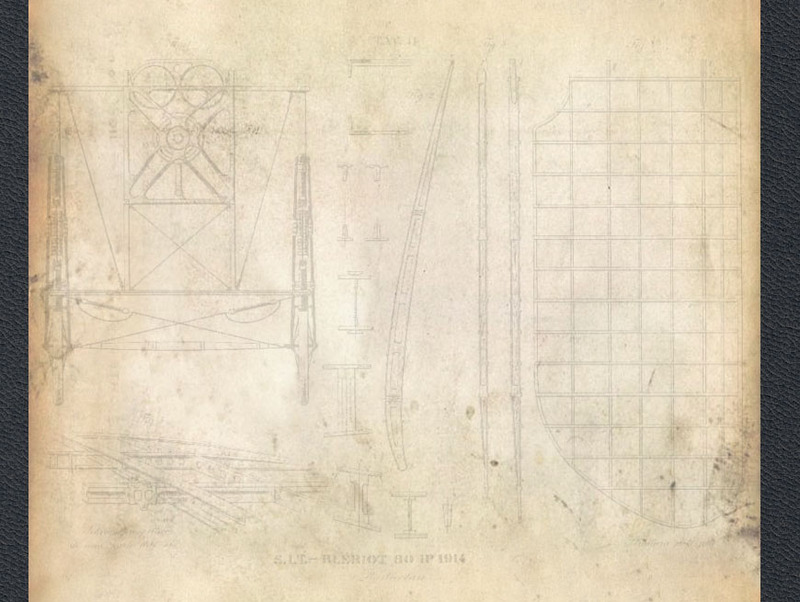 The early days of aviation saw designers trying a diverse range of aircraft configurations and control systems. 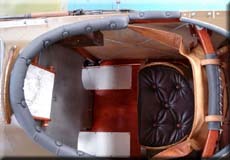 Each designer had his own preferences, although most of the controversy centred on the number of wings; monoplane, biplane or triplane. 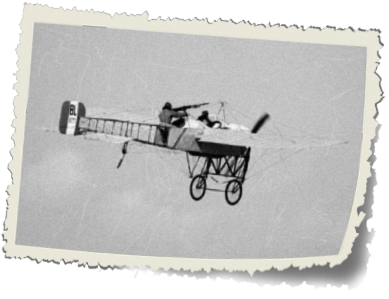 After numerous tests, errors and accidents Louis Blériot eventually decided that the best aeroplane should be a monoplane and built the Blériot XI, the most efficient, safe and manoeuvrable aircraft of its time. 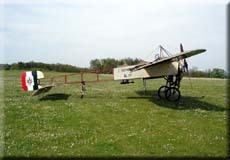 The Blériot XI² is a two-seat tractor monoplane, designed from the start as a battlefield observation aeroplane. 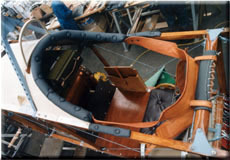 The square section fuselage is made of 4 ash longerons tightened by steel wires. 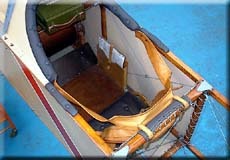 Only the front end is decked with aluminium and fabric covering. 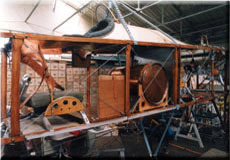 The two ash and poplar wings are easily detached from the fuselage by loosening the numerous cables connecting them together. 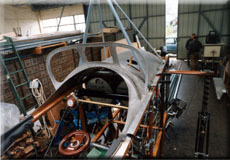 There is a large cut out in the trailing edge near the fuselage to improve the downwards view for the observer. 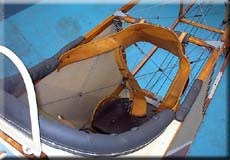 Lateral control is through wing warping, operated by cables and pulleys connected to the stick. 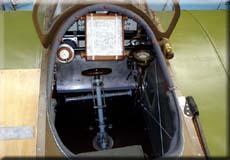 The landing gear is free to castor allowing some degree of crosswind capability. 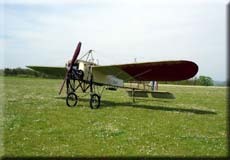 The Blériot XI² was the first aircraft ever to see combat, with the Italian army in 1911 in Lybia. When the war broke in Europe in 1914, Nos. 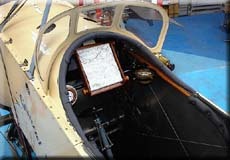 3, 9, 10, 18 and 30 Squadrons of the "Aviation Militaire" were equiped with this type, along with Nos. 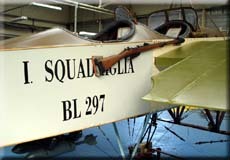 1, 3, 7 and 16 Squadrons from Royal Flying Corps, plus a few assigned to the Royal Naval Air Service and some operated by Italian, Belgian, Russian and Serbian forces. 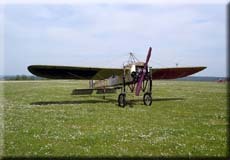 The aircraft were widely involved at the start of the conflict but became obsolete very quickly. They were soon relegated to secondary theatres or training squadrons. 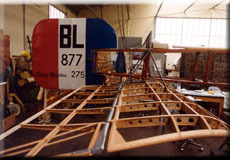 Blériot XI² #877 started with the German branch of Memorial Flight using some plans and an original unrestored aircraft owned by the Musée de l'Air et de l'Espace as a pattern aircraft. 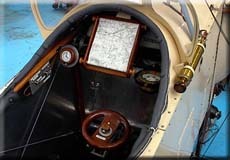 The rotary engine and equipment are original. 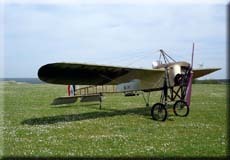 Between 2000 and 2004, the decoration was the one of Escadrille BL3 (which was to become the famous SPA 3 "Cigognes") based in Belfort in July 1914 . 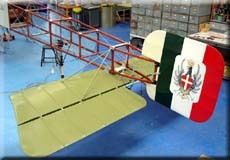 In 2005, the Bleriot is in the 12/13 modification version and italian I squadriglia markings. 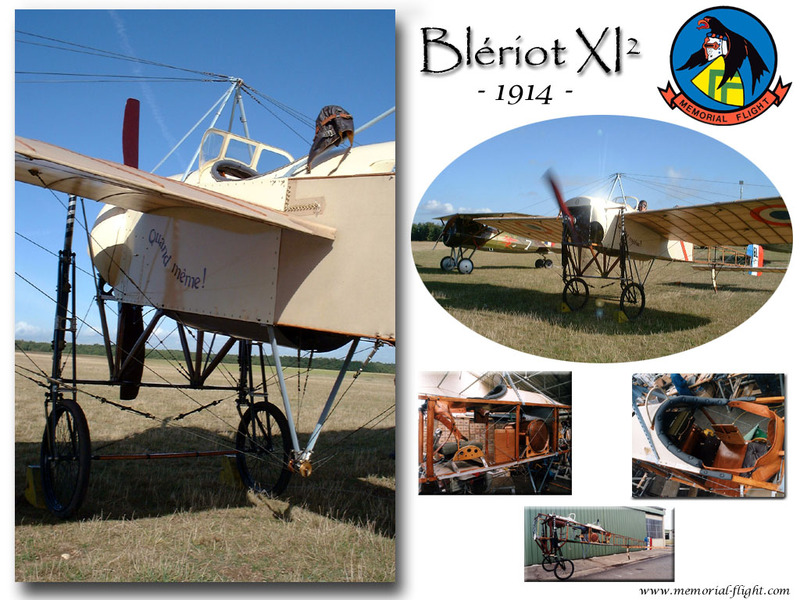 The original Blériot XI² "Quand même" in 1914.